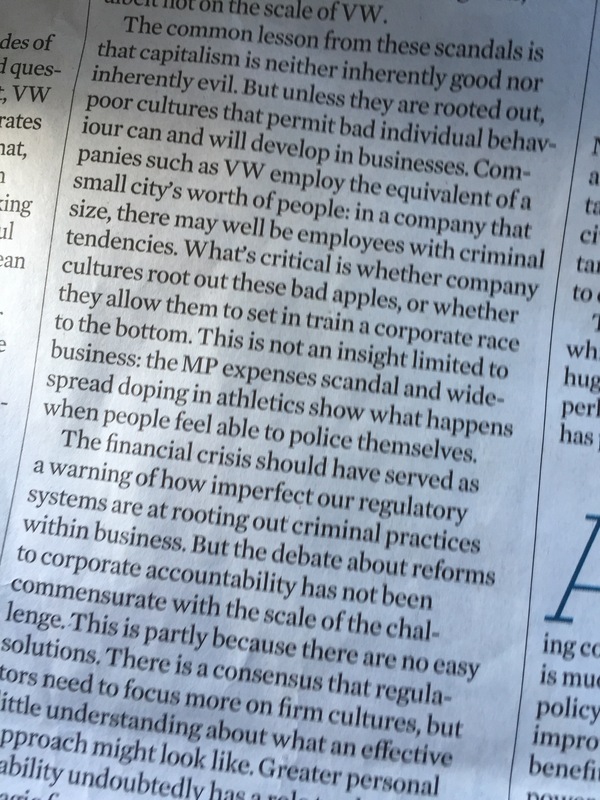 John Nelson at Lloyds of London rightly calls out “trust deficit” which @blueprint4biz and others are trying to address…. …because in it’s Editorial The Observer acknowledges that there are “no easy solutions. There is consensus that regulators need to focus more on firm cultures, but little understanding about what an effective approach might look like.” I believe CEOs set cultures. And General Counsel can help them get it right. But if the relationship between the CEO and the GC is not close, risks increase. The quality of the GC-CEO relationship should be formally on the risk registers of organisations. I have recently launched the #GCCEO Forum to create a forum for pairs of GCs and CEOs to meet to discuss how best to work together. Early responses are been encouraging, if a bit cautious. Which proves the point. …at a recent seminar. It captures both truths perfectly, if hilariously. The joke raises three questions: will the market continue to pay for the lining? what must change? do they know how to change?